This stunning white satin dress is made by US Angels, a leading manufacturer of special occasion clothing. 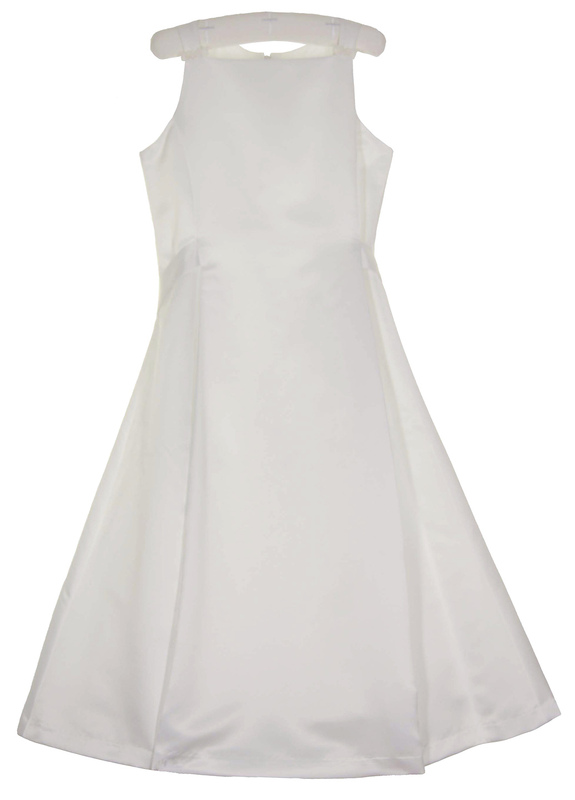 It features a princess cut bodice, square neckline, fitted waist and A-line skirt with inverted pleats. 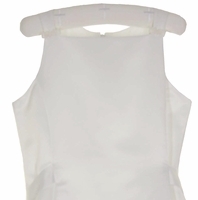 The narrow front shoulder straps are accented with tiny ribbon flowers. 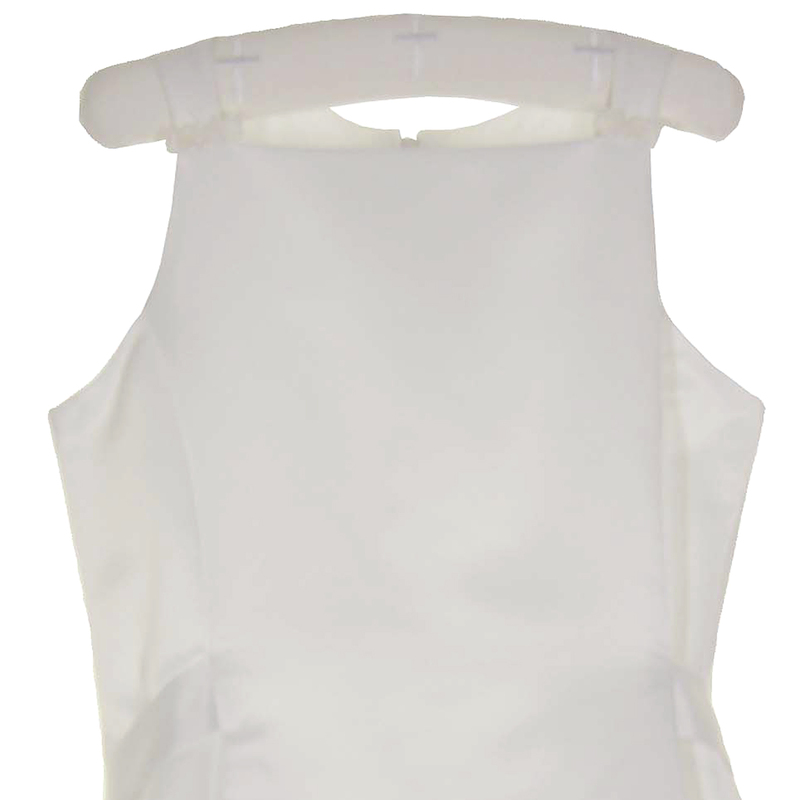 An attached crinoline slip adds fullness. 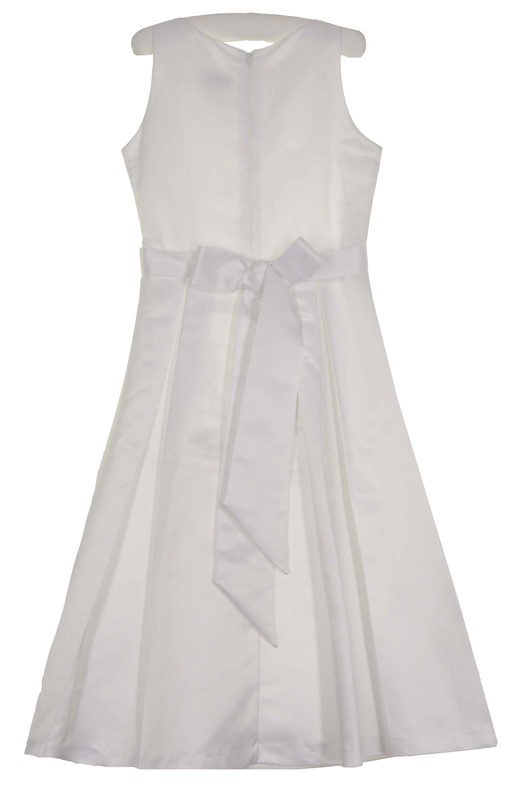 The dress has a zipped back closure and satin sash to tie in a bow. The separate white satin bolero has an open front with spread collar and long cuffed sleeves trimmed with tiny ribbon flowers. 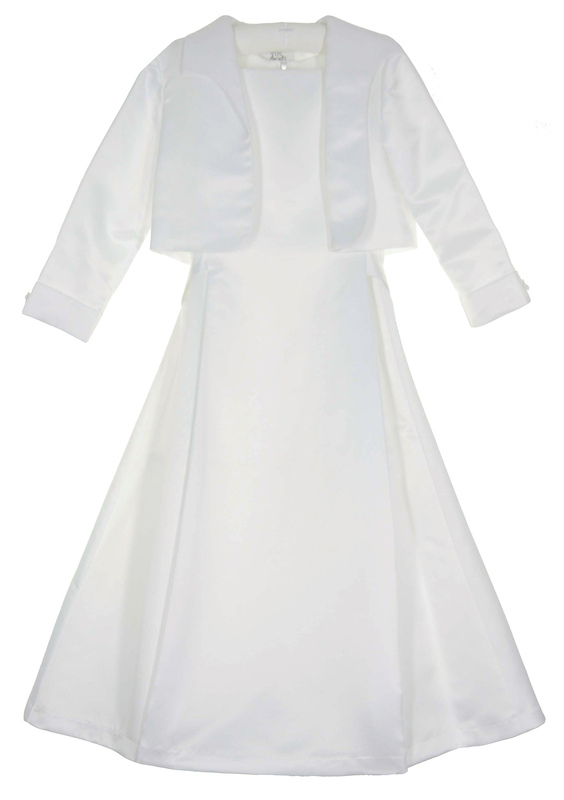 Perfect for baptisms, first communions, flower girl dresses, wedding attire, portraits, and any very special occasion!